A timing belt controls the duration and timing of the valve lift in the cylinder head. This is an extremely crucial component for several reasons. To begin with, the correct timing of the exhaust and intake valves is key to producing efficient horsepower in an internal combustion motor. On top of this, many engines are designed so that valves must be open at a specific time in order to avoid contact with the piston, which rotates to occupy the same space. If this occurs, the valves can be bent, which requires expensive repairs. 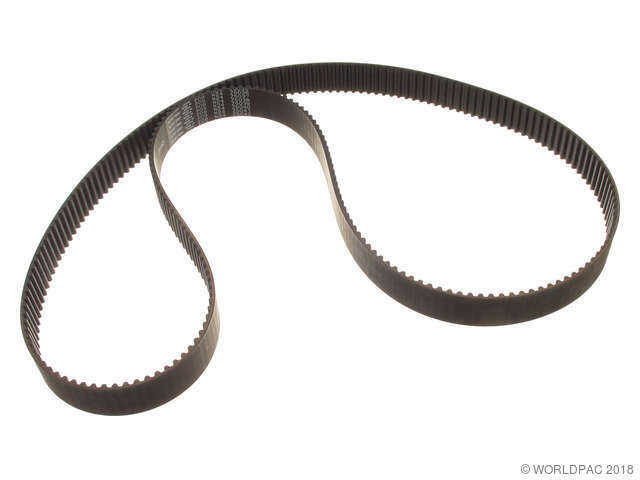 The timing belt connects two shafts in the engine: the crankshaft and the camshaft. The belt turns the camshaft, which controls valve movement, at a ratio relative to the movement of the crankshaft – usually 2:1. 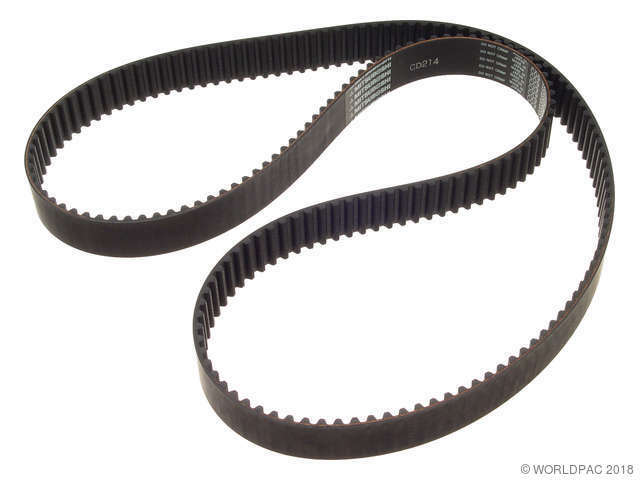 Sometimes the timing belt might also be used to drive other accessories such as the oil pump. Some engines use a timing chain instead of a timing belt. A chain is much stronger than a belt, and rarely requires adjustment or replacement. Timing belts, on the other hand, must be replaced at specific intervals, as they can dry out, become brittle, and slip or snap, exposing the valve train to serious damage. 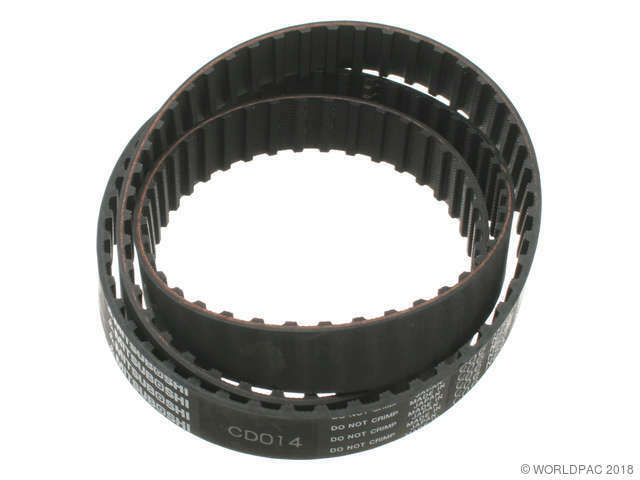 Since timing belts are often located behind a number of other engine components, regular inspection can be difficult, and periodic replacement is recommended over a wait-and-see approach. If a timing belt begins to slip, the engine will demonstrate poor drivability and reduced fuel economy, as the valves will no longer open at the correct intervals. 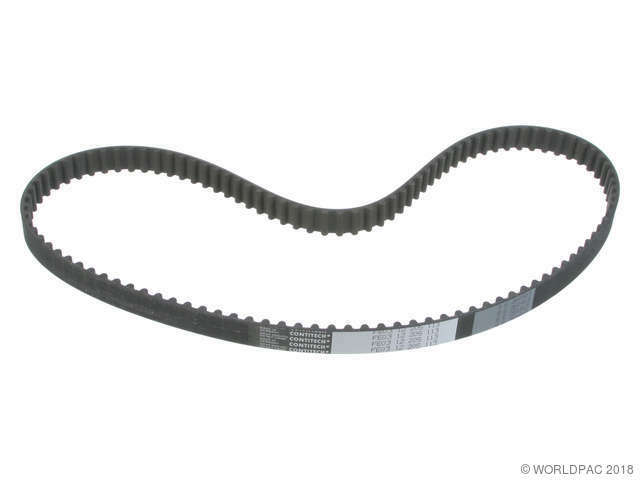 We stock Timing Belt parts for most makes, including Acura, Audi, BMW, Buick, Cadillac, Chevrolet, Chrysler, Daewoo, Daihatsu, Dodge, Eagle, Fiat, Ford, GMC, Geo, Honda, Hyundai, Infiniti, Isuzu, Jeep, Kia, Land Rover, Lexus, Mazda, Mercury, Merkur, Mitsubishi, Nissan, Oldsmobile, Peugeot, Plymouth, Pontiac, Porsche, Renault, Rover, Saab, Saturn, Sterling, Subaru, Suzuki, Toyota, Volkswagen, Volvo. BP01-12-205A was made by Unitta/SUN. BP02-12-205 was made by Tsubakimoto. Both OE #s go to BPY1-12-205. 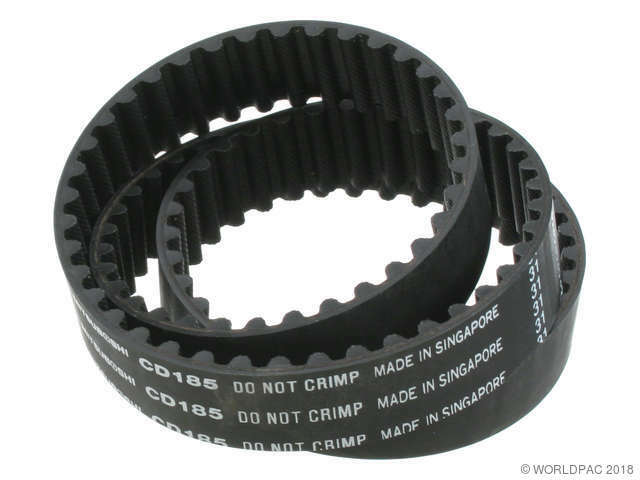 Chas: -568707, Production: 12/1984-, Round Tooth 19.1mm Wide UF11..
Production: -07/1985, Round Tooth 19.1mm Wide UF11..
Chas: 617637-, Round Tooth 19.1mm Wide 2 Door, Ch #GC311..
Chas: -730442, Round Tooth 19.1mm Wide 2 Door, Ch #GC311..
Chas: 635512-, Round Tooth 19.1mm Wide 4 Door, Ch #GC221..
Chas: -762174, Round Tooth 19.1mm Wide 4 Door, Ch #GC221..
Chas: 609645-, Round Tooth 19.1mm Wide 5 Door, Ch #GC241..
Chas: -712583, Round Tooth 19.1mm Wide 5 Door, Ch #GC241..
Chas: -800051, Round Tooth 19.1mm Wide Ch #GC22..
Chas: -800030, Round Tooth 19.1mm Wide Ch #GC24..
Chas: -800034, Round Tooth 19.1mm Wide Ch #GC31..